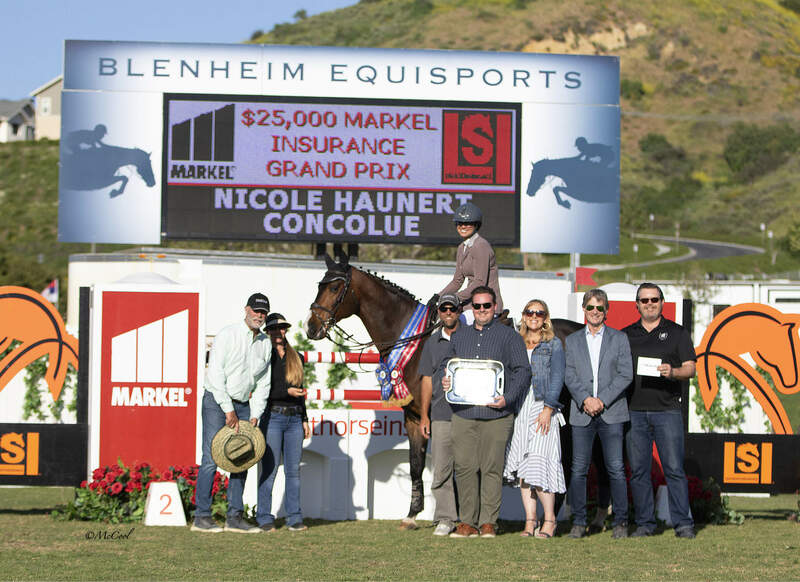 April 14, 2019 – San Juan Capistrano, CA – An enthusiastic crowd enjoyed a beautiful Southern California afternoon cheering on the nineteen entries in the $25,000 Markel Insurance Grand Prix. 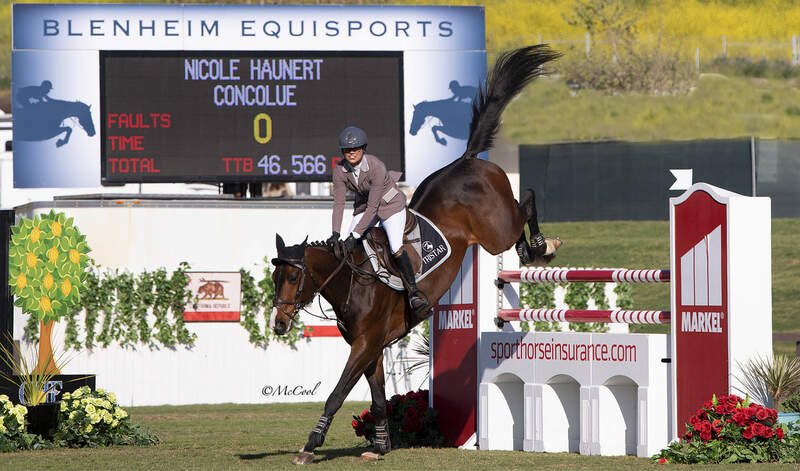 With five going clear and advancing to the jump-off, Nicole Haunert and Concolue, owned by Cherokee Show Horses Inc., topped the field. Making the day extra special, she also placed second aboard Jamaico Drum van de Breepoel, owned by NJK Show Jumpers, Inc. The course was designed by Olaf Petersen Jr. of Germany, who earlier in the week was selected to be the course designer at the upcoming FEI World Cup™ Jumping Finals Las Vegas in April 2020. For this week, Petersen built the 1.45m track which consisted of sixteen jumping efforts, including a triple combination oxer/vertical/vertical towards the in-gate, requiring horses to be extra careful between jumps seven and eight. 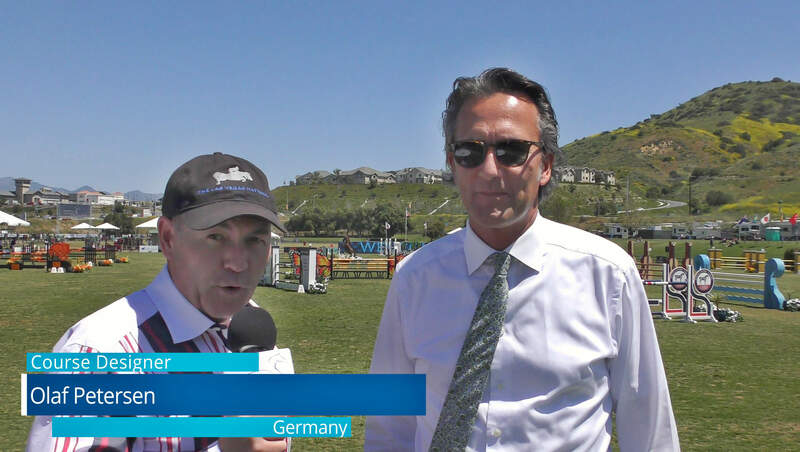 Petersen congratulated Blenheim EquiSports on the excellent footing and beautiful jumps including the iconic “California Wall” with the grizzly bear cut-out. The first to ride in the jump-off was Zume Gallaher and Certain VD Begijnakker who set a solid pace but was unable to go clear, pulling a single rail on fence number four. Gallaher was followed by Haunert on Concolue, who laid down a fault-free time of 43.138 seconds, ultimately the winning ride. Two rides later, it looked like Lindsay Ramar-Costigan might steal the lead with a very quick pace aboard Mr. Harrison, however spectators groaned as the last fence fell. Knowing she had the win, Haunert on Jamaico Drum van de Breepoel rode a careful, fault-free round. 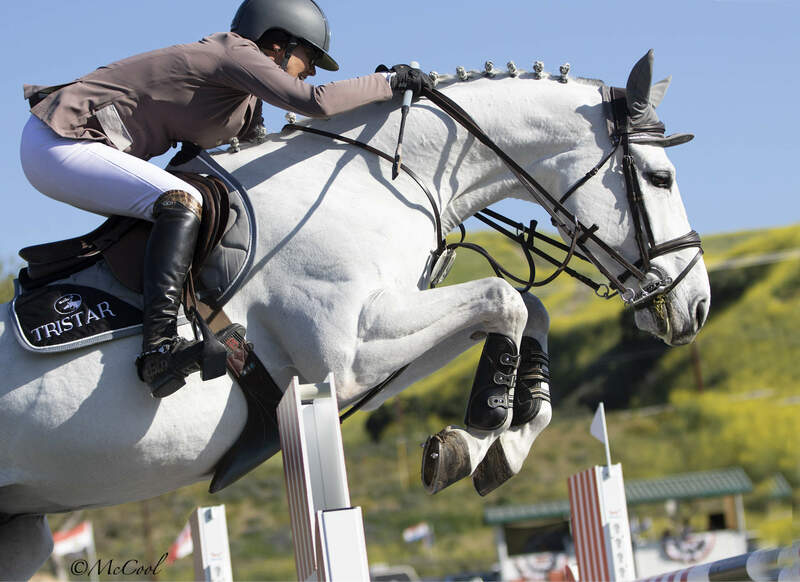 She later explained that her horse had thrown a shoe during the triple combination in the previous round and her team decided that their objective was to give him a nice, confidence builder and simply focus on going clean. 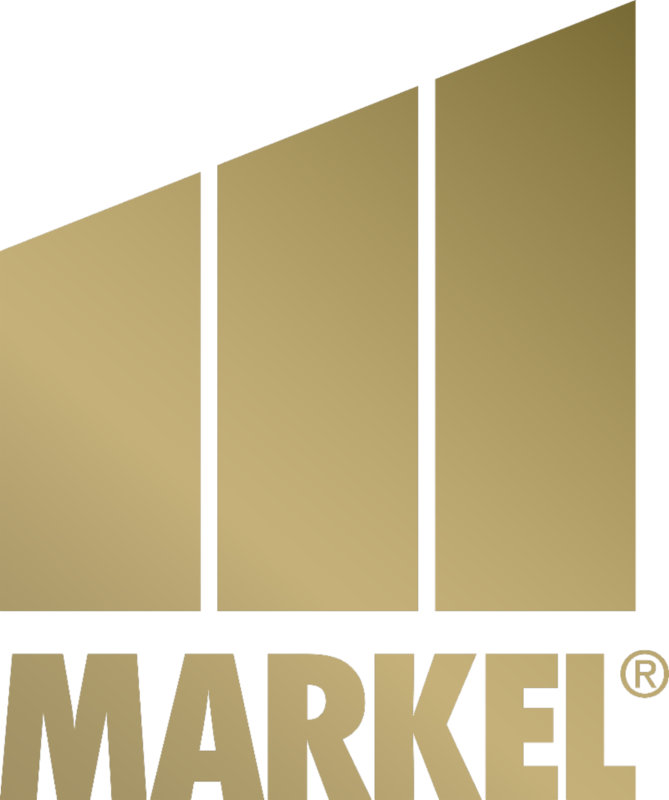 This is the third of thirteen qualifying events in the Markel Insurance 1.45m Jumper Series to be held throughout the Blenheim EquiSports 2019 Horse Show Season, with the Final to be held during The Las Vegas National, November 12 – 17, 2019.